Spring is almost in bloom but what to do, where to go? In celebration of shorter nights and longer days ahead we’ve put together a guide to 10 of the best events happening in Cape Town this month. An interdisciplinary festival designed to challenge and extend the public’s experience of live art in a non-commercial environment, and to make accessible the work of visual and performing artists who explore new forms, break boundaries, flout aesthetic conventions, tackle controversy, confront audiences and experiment with perceptions. A festival paying homage to the nation’s food culture by dishing up authentic South African street foods pavement-style. The festival features a food market, live music and a conference geared towards food entrepreneurs. The Book Lounge and the Fugard Theatre present the annual literary festival with a focus on ‘South African literature in an international context’. The festival includes over 150 literary events, featuring over 100 authors over 5 days. Although the events are spread across Cape Town and its surrounds, the hub of the festival takes place at the Fugard. Innovators showcase their talents, innovations and ideas. The event aims to inspire and challenge innovators to find solutions with a positive social and economic impact. The summit offers competitions, practical workshops, panel discussions, networking and business matching opportunities and a line-up of local and international speakers. Explore South Africa’s premier wine destinations, uncovering a plethora of experiences at the participating Franschhoek Wine Farms. Highlights of the event include themed tastings, bespoke meals, live music, old school lawn games and more. Open Streets Cape Town hosts their first Street Indaba in order to explore how society can create a more child-friendly city at street level. The indaba includes reflections of how children and youth currently interact with streets, a showcase of local initiatives that are helping to build an inclusive and sustainable city with children at the centre, and an exchange of ideas and knowledge for future planning and action. The annual concert returns, with the common goal of rocking against cancer. The 2018 line-up includes Francois van Coke, Hanu De Jong, Jason Oosthuizen, Jaco Mans, Chris van der Walt, Laudo Liebenberg, Ard Matthews, Jedd Kossew, Adelle Nqeto, Allesandro Benigno, Warwick Rautenbach and Hunter Kennedy. Following previous sold out performances, Eric Abraham and the Fugard Theatre present two solo piano concerts by global music icon and South African legend, Abdullah Ibrahim on Heritage Day. The 8pm performance is presented by the Fugard Theatre, with the 3pm matinee performance presented in collaboration with the Japanese Embassy as part of the Japanese Consulate Centenary. The Cape Town Opera (CTO) presents Matthew Wild’s minimalist staged production that premiered to great acclaim in 2015. Violina Anguelov and Noluvuyiso Mpofu return as the conflicted monarchs, with Kamal Khan once again leading the cast, CTO Chorus and Cape Town Philharmonic Orchestra in an inspired reading of Donizetti’s masterly score. The award-winning comedian returns to Cape Town for a night of new and old material as part of his `The Best Of, Ultimate, Gold, Greatest Hits World Tour’. Carr hosts British comedy show 8 out of 10 Cats and The Big Fat Quiz of the Year. He is a regular guest on a number of BBC radio shows, performs stand-up tours year round and released a Netflix special titled Funny Business in 2017. 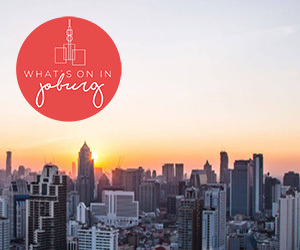 See what else is happening in Cape Town in September. For regular updates on the best events subscribe to our weekly newsletter.